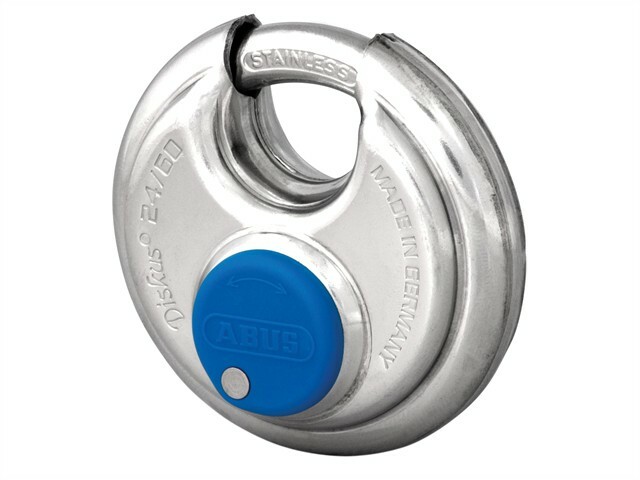 The ABUS 24IB Series Diskus® Padlock is the original marine Diskus® padlock. The body, inner parts and shackle are made from stainless steel for increased protection against corrosion. With precision pin tumbler cylinder with anti-pick mushroom pins, a solid lock body which resists drill, pull and manipulation attacks. The cylinder has been nickle plate for enhanced corrosion resistance and is fitted with a keyway cover for maximum protection against dirt and moisture. The Original Diskus® design provides 360° protection from sawing. Diskus® 'Deep Weld Technology' offers maximum case strength. Key operated, lock retains key until locked.